All South West Walks Ireland tours, river cruises, expedition cruises, and adventure trips. Find the best guided trips and expert planned vacation and holiday packages. 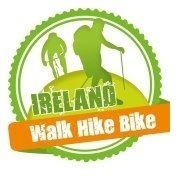 Average rating of 5.0 for all South West Walks Ireland trips. Continue one a beautiful and historic walk around Slea Head, finishing Dunquin. Walk over the plateau, passing a deserted famine village and Annascaul Lake on the way. Experience the beautiful views of River Shannon. Enjoy the Irish Music in Doolin. Visit Galway bay, which is largest west coast of Ireland.